Take A Break Vending provides next-generation vending services with the very freshest foods for your at-work meals and snacks. 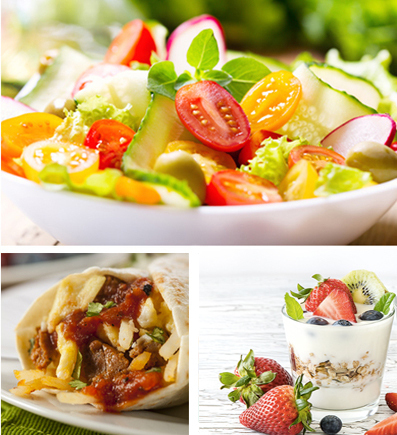 Available in both our vending and Bistro to Go® Markets, fresh food selections are integrated with our health and wellness program, The Right Choice...for a Healthier You®, with details on the ingredients, and heart-healthy choices labeled. Discover the difference fresh food can make in your employees' satisfaction levels, and productivity! Contact us today, or click here to build your custom solution.